Dascha Polanco believes Donald Trump‘s claim the death toll in Puerto Rico was inflated to make him look bad, only proves one thing — he’s all about diversions. The “Orange Is the New Black” star was at LAX Friday when she called out the Prez for denying thousands died after hurricanes Maria and Irma. She can’t understand how he’s disputing hard numbers from multiple studies. But, Dascha tells us that’s not even the point — the big picture is the situation in Puerto Rico shows we need to unite to help people in need … and she says it’s simply common sense. 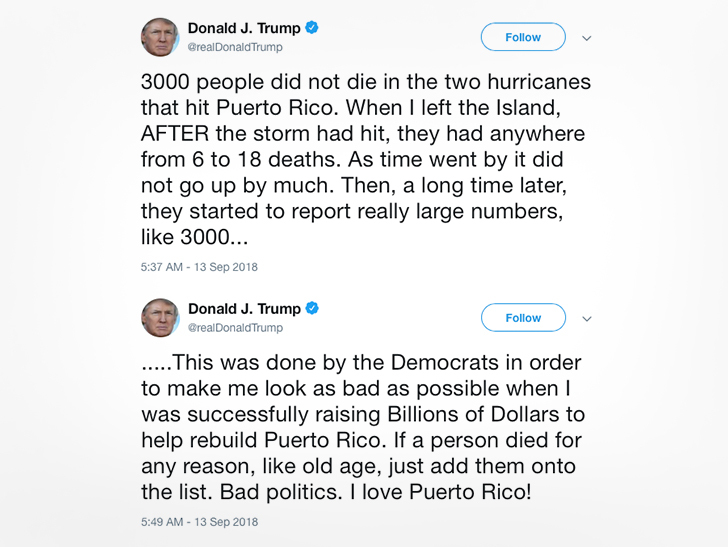 As for Trump’s claim Democrats are just trying to use the death toll as a political weapon against him — she doesn’t exactly deny it’s possible, and definitely doesn’t think it’s the worst idea ever. ← Carl Lewis Shades Usain Bolt, You Gotta Beat My Paper Now!